After the first invasion in the early 1970s of recording deejays U Roy, King Stitt, Dennis Alcapone, Samuel the First and Winston Scotland, amongst others, a second wave was slowly coming up making their names in Jamaican dancehalls; Dillinger, Prince Jazzbo, I Roy, Hugh Roy Jr, Lloyd Young, Ramon, and a young man who was to become a household name for the remainder of the decade, Tapper Zukie. 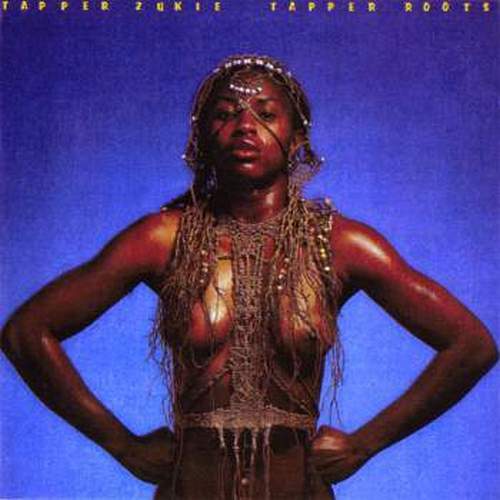 But Tapper made his name while stationed in England in the early seventies by a bunch of remarkable singles and later the ‘MPLA’ album released on the Virgin label, as well as – in the new role as it turned out – a very fine producer of some superb records by artists like Prince Alla, Junior Ross & The Spears and Errol Dunkley, to name only three. Thanks to Zukie, Mike Brooks, Trish (Roots Rockers Promotions), Carlton Hines, Tim P, Russ Bell-Brown, David Corio, Steve Barrow, and Donovan Phillips. Your family lived somewhere between Trench Town and Greenwich Town, you’re born there and that’s where you grew up for the most part? Yeah, I was growing up… I was born in Waltham Park Road and moved to Greenwich Town and grew up between Greenwich Town and Trench Town. How was that community in those days? Well, the community wasn’t violent like now as it goes on, ’cause in my time we used to go out to dance and have a lot of fun. I started by playing a sound system, or what they called ‘discoteque’. I was so small that they had to put me on a beer box. Yeah. And a lot of people thought I was a great lickle deejay. And in those time we didn’t have a lot of deejays. The deejays that was around was like U Roy, I Roy, Big Youth, Dennis Alcapone, and Prince Jazzbo come along. Those time I was like the firs’ lickle boy deejay. Long, long time, looooong, long time. How was family life in that time, you were quite a rebellious youth? Yeah, well, I was growing up, my parents, they weren’t together as two, a married couple. Well, they used to work, like, operate a stall, a market stall, and also a bar. 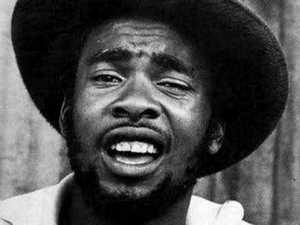 And your brother, Blackbeard (not to be confused with Dennis Bovell, also known as ‘Blackbeard’ at the time), he was also musically inclined? Yeah, Blackbeard… Well, he started in the business before I do, y’know. Blackbeard, he started out with Bunny Lee, he and Bunny used to get along. Well, when I used to play sound system, I lotta rude boy follow the sound, so they used to say I was the number one deejay for that sound. They used to do like… The parents think I was getting involved with wrong company, and that’s where Blackbeard and Bunny Lee come in and they send me away to England. When I come to England I used to play the sound and didn’t have anything to do and just start record, because my first recording was in England. My first song was ‘Man A Warrior’. Ah, I thought it was ‘Viego’, flipside was ‘A Message To Pork Eaters’ or something. No, ‘Man A Warrior’ came out before ‘Viego’. Actually the firs’ song record was ‘Jump & Twist’, but ‘Man A Warrior’ was the first one and the following was ‘Viego’. Before we continue with the ‘English chapter’, why did your parents kick you out of the house? As far as I understood it it was in your late teens, wasn’t it? It’s true I used to follow these sounding systems, and every time I go and come it was a problem. But I loved the music and proud of the music more than anything else, I had to lef’ the gate, the home. That’s when I went away in the ghetto area to live away from the… you know? So it wasn’t much in terms of homework, you preferred to hang out during daytime and go to the dances in the area whenever one was on? Yes, yes, yes. That was the big problem. I had to leave home. No, I was around twelve year old, yunno. Very young, was around twelve year old when I start leaving home. You stayed over at a relative’s house? No, I used to stay by a friend of mine’s home, his mom and my mom was friends. And sometime when they came it really get to me, they just give me a break because they know I live by this guy’s home. Then you joined the gang called the ‘Zukies’. This is when the rude boy phenomenon started to mushroom around Kingston in the mid sixties, it wasn’t as many gangs before that as during that time? Gangs was there from I was a boy, y’know. Because from I was a lickle boy you did have gangs, the toughest and the roughest. Gangs was around in them times. But to even join a gang, what was that about? Was it just about belonging to something, role models, or what was the ‘mechanisms’ there? Well, is not really the gang as such, as the gang who go out and make trouble on the road and do mafia t’ings. We’re just school boys runnin’ around and we’re school gangsters. At school, you’re projectin’ one another in this lickle gang. If you touch one you touch all of us. No, it wasn’t against, like, the police, it was just the school runnings. Yeah, but they class us as the bully at school (chuckles). OK, that’s how it goes. Regarding the music now, what did you listen to at home, what did you grow up with? Yeah, well, I grew up listening to ska and rock steady and those type of music, Don Drummonds, Tommy McCook and Delroy Wilson. The rock steady and the ska till it come on to reggae, so we could be a part of the reggae. So what appealed to you about deejaying? Well, really when I started out I start out by playing drums, y’know. Yeah. I used to play drums for a lickle band they have name The Supremes, and y’know Leroy ‘Horsemouth’ (Wallace), he was the bigger drummer, but me and him couldn’t get along ca’ I didn’t leave him alone at the drum. You know ’bout Horsemouth? Well, the sounding systems… From me a lickle bwoy me used to listen to King Stitt and dem man deh, U Roy, and dem was the centre of attraction. So me wanted to be the centre of attraction, so I think I jus’ jump on the box and just do a t’ing. Couldn’t reach the amplifier but I jus’ stand up on the box an’ hold a mic an’ just talk. But you never got to record anything while in Jamaica? There was never an opportunity? No, never gave me an opportunity, yunno. It was one sound, y’know, it was a discotheque but the name of the owner name was Mackabee. Yeah. They never produced for themselves? A local sound in Greenwich Town. And then it was the case of being sent over to the UK. How was that, sent over to a place like England as such a young man? Well, it was an experience, and it was a good experience. Well, actually I heard about people playing and keep flying up and down and well wanted a plane drive so it was very welcome. So when they said they’re sending me there I think I was happy about it. When did you come, like in the middle of the winter, snow and stuff? No, when I come here it was sunny. So, musically, the first link-up in the business, that was Larry Lawrence, the Ethnic Fight label. Yes, it was a stage show I went, a U Roy stage show, and producer Bunny Lee meet up with Larry Lawrence. That’s how it came about, the connection there. How did the records do in general, if you can recall? Well, when it came out in those days I wouldn’t keep track on how good it would do, just wanted to put myself in the studio and be the centre of attraction. As you go along and the thing grows you have to come jus’ like you’re the star and keep up to date, that’s the way you come in the business. Then you cut the debut album for Clem Bushay, ‘Man A Warrior’ in about 1974. Well, that album is just in England and I’ve nutten to do, just come to Englan’ and I had to find somet’ing to do. I guess that’s the easiest thing for me to do at the time. How do you look back on that album? Well, feel good ’bout it. I think it was reissued a couple of years ago by Trojan. When it was released, I believe Count Shelly was the first one to issue it? Yeah, first when it came out it was Shelly who put out the album, it came out and it did really well. 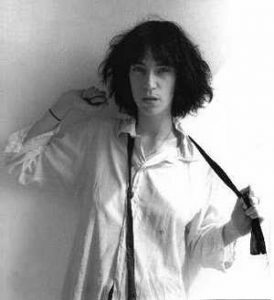 Then it was picked up by Patti Smith. OK. I was on tour over here and this guy Don Letts was runnin’ a record shop down in the West End, and he talk to this lady when she came into the shop and say she want to come in contact with me. 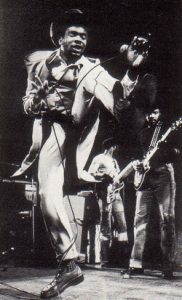 So she tell him to bring me down at the Hammersmith Odeon. And he call my friend Militant Barry and hook up with me and say Patti Smith want us to come down to Hammersmith Odeon, so we went. And when we went down there I saw this lady. And she just bowed down in front of me and said “Man, when I see you, man, it’s like seeing James Brown”. 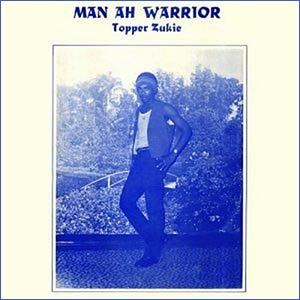 She said she learned to play ‘pon record from my album, ‘Man A Warrior’. So she walk me out on the stage in front of about five thousand people and bow down in front of me and tell them that she learnt to play music from my album. (Chuckles) And when she see me it’s like it’s James Brown, and she wanted me to say a couple words for her fans… which I did. And it went on from there. So after then she asked me to support. She was doing three shows in the Rainbow Theatre, she asked me to support them which I did. So we started to correspond from there till she asked me to allow her to put that LP on her label, Patti Smith and Lenny Kaye, which I did and that’s where it start roll. That was on the MER imprint I think. So she only put it out in the States? Well, actually I don’t really know the territory she did put it out in, I only know she put it out. That kinda boosted your career somewhat. Yeah, well, it did. It did. So it wasn’t any connection after that? Well, after that I went to the States for me and her to link up. She had a lickle family dispute when she gave the music a break for a while to settle the deal with that. And then from there… you know? It came to a halt there. What happened after the album, you got homesick and decided to leave the UK for Jamaica again, or to just simply try a thing at home? No, after the ‘Man A Warrior’, man, I went back to Jamaica and then come back over after doing the ‘MPLA’ album. 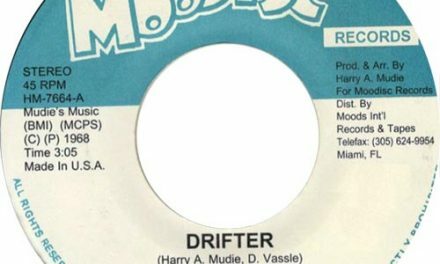 That was on the Klik label in 1976. Klik, yes. Then I signed with Virgin Records. After I sign with Virgin Record then I leave home and go an’ build my own recording company, Tappa Record, and started production. Produced a lotta artists. How did the signing to Virgin come about, a link through Patti Smith? Well, actually that time with Virgin I wasn’t doing much good. I licensed like three albums, but I haven’t seen much reward from them. I don’t think they did a lot to my career. I don’t think they did a lot to any reggae artist. They don’t really promote reggae. They took it when it was happening, then it’s on to something else. It was just for a while. ‘Cause right now I don’t know ’bout no deal, I don’t see no company doing good for reggae. Everybody come and take what they can take from reggae. Nobody is really pushing it. 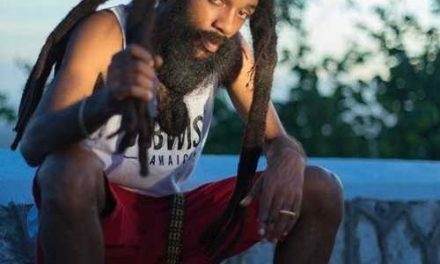 More people are trying to take reggae away from the land of its birth. 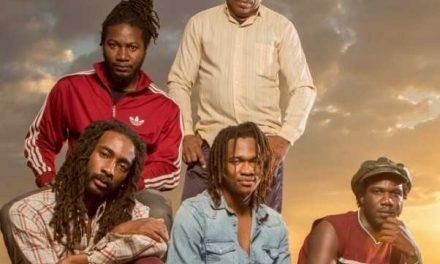 Put it this way: with reggae, the people who’s doing the original, real reggae players now, these people are underpaid and they can’t even get themselves together fe really presenting the right way to the people. 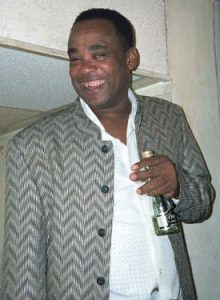 What is happening now to your productions, you had quite a few releases in the early nineties, the Heptones, Big Youth, U Roy, Beres Hammond. Then it slowed down. Well, it’s the way the system set itself now, certain type of music they’re supporting and as I said earlier on, the support for the real music is not there. They’re more out for the degrading style of music, like the rappin’ and the young dancehall, just everyday t’ing. So it have to make nuff because every six weeks seven days, so you have to keep on doing a lotta dem. It’s more of a hands on production, the stuff you put out at that time compared to what we get nowadays. Compared to now, what they have these days, yes. Because really, the older production was acoustic, it was real music. You’re going in the studio with a band and you’re creating music. Now it’s just the drum and a one man need to play a whole riddim, so it’s like it’s watered down. You don’t have any money to pay nine musicians to going in the studio, you may can afford one musician to go in the studio with a drum machine and a keyboard and make ten riddim for one day. But you succeeded when starting out using new technology to maintain some of the old production values, it was still that hard rock-bottom sound. Yeah. Because we used to add the natural music with it also. But we find out that it’s not working, so we kinda ‘ave to jus’ trying… it jus’ can’t keep it up because it’s not givin’ us the vibes. But still, you got some hits with Beres, ‘Putting Up Resistance’, good tracks with U Roy, and so on. Yeah. But if you check the programme with what’s going on now, the real reality is not there, it’s just like a everyday t’ing. People talk on record now what’s going on, y’know, it no really… You know what I would say? I would say it’s a yout’ t’ing going on now. Yeah. And I’m a veteran and an older producer, so I have to allow the yout’ dem now fe really do their t’ing. Sure, but you still have something to offer, too. Yes, I still have something to offer. But at the moment I’ve been away from the stage business fe the fans for so long, so I’m thinkin’ about doing that now. I don’t think you’re gonna get the production t’ing from me now for a good while. You may get more from me now as an artist, because if you notice I’m not producing myself for a long time. I’ve been producing a lotta artists. Now, what I’m gonna do now is to pay more attention to me. I was gonna ask you about that, because you have quite a reputation for putting on a solid performance. So the obvious question would be why you haven’t done more stage work in the past few years? That’s what I’m saying, I’m only one person. I cyaan be in the studio producing other artists and on the stage. I think the production t’ing drew me away from me as an artis’, my career. You simply took on too many artists to shape and work with. Sounds good in a way. You did appear in Belgium at a festival not so long ago (‘Reggae Geel, 2006’), and something at the Jazz Cafe in London. But you would like to reach out further in Europe at the moment? Right, that’s what I’m thinkin’ of doing now, going back on the road. Ca’ I think I have more to offer on stage now. Me to offer more as an artist more than a producer. I think my career as a producer is on hold right now. That’s a loss for the music. I mean you have quite a reputation as a producer as well, as obviously a very innovative type of producer, so I hope it’s not on its way down for good. Well, music is like that, it’s from one extreme to another, my career in music. Beca’ I started out playing sound system going out as an artis’, went in to play a part in the industry, and now my career is where it started. A lot of people have been keeping on with their act, but what I’m doing with my career is I’ve been holding it down for so long. This is the time where I have to pick it up back and I think I’m doing the right thing in putting it back together. From Bunny to begin with. Yeah. And I started producing myself. So it went from coming in as an artist… Actually, that album with Clement Bushay, ‘Man A Warrior’, it wasn’t produced by Clem Bushay alone, it’s about five tracks on it is by Clement Bushay. The other tracks, the other five tracks was my production. I was the producer. Because, like, I tell you – people used to say I follow bad company. You coulda call it… you can call it I was a rudie, a lickle rude bwoy, but much producer dem no had the talent, y’know (chuckles). So I had to… just had to do something for myself. Well, you know, you play the sound and you’re a part of… you’re listening and you like the beat and you know what to make the people happy. As a sound person, you have to know what to put… which tune to play in the dance to keep it going, so you have an idea of what people want. You know? So thinkin’ that you can build somet’ing to make the people dance. You have to be in touch all the time with the dancehall. You have to be, yeah, you have to be in touch all the time in the dancehall. How did you find some of these people, like Prince Alla for example? You have been responsible for some of the finest roots productions ever recorded in albums like his ‘Heaven Is My Roof’ for example. ‘Heaven Is My Roof’. Yeah, well, when I was a lickle boy… Prince Alla is a bigger man for me, yunno, is an elder person. And when I was a lickle bwoy I used to go and siddung and listen dem when dem play them guitar an’ t’ing. So when I start produce now that’s the first person a come to me an’ come to my camp. So I went to the studio (to produce him). But through they was proud to see me moving away from the rude bwoy business an’ t’ing, so they jus’ work along with me. And it happened. And me and Junior Ross grew up together from lickle bwoy days. Is my lickle spar, we grow up together. And me and him used to walk up and down when me used to play sound system. And me an’ him used to run up an’ down the place an’ do our t’ing, yunno. What became of Junior Ross & The Spears again? It took a long time before you finally released that album, ‘Babylon Fall’. Well, he’s still down there now and I’m completing another one with him now. So sooner or later you will soon hear another Junior Ross. It’s actually, you know… Well, me and Junior Ross come in like brothers. If you notice nobody else produce him. So it’s half-time now fe really deal with me and my friend, which is Junior Ross (chuckles). Soon you will hear a new music from Junior Ross. 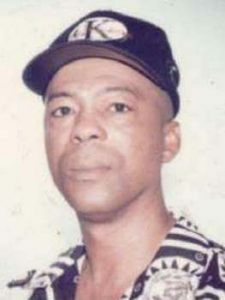 And he had a brother too in the business, perhaps the more established of the two, or three (the third being the late Roy ‘Soft’ Palmer of the Nazarenes, aka Palm Threes or Palmer Brothers), which is Frankie Jones. Around two, three years ago. No, somewhere in the States, somewhere in America. I don’t really know what went down, but I know he died. You did some stuff with him, like ‘Bygones’. Yeah, I did a couple… stuff with him. What happened to the album you cut with Alton Ellis? 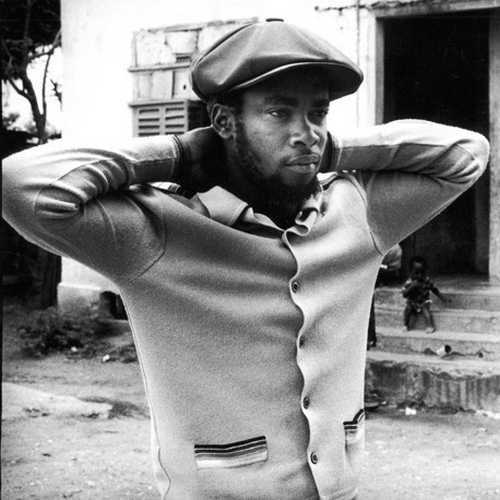 You did songs like ‘Jamaican Rock’ with him, backed by the (Roots) Radics. Yeah, some of the tape dem get mix up, yunno. I didn’t get to release them. I’ve got a couple of the songs still, but most of dem haven’t release. One of them come on 45 and one tune is on an album. I put one out on a 45 in Jamaica only. But the tape get lost somewhere along the way. I coupla tape I had get mix up and used up along the way, and Alton’s would get caught up in the lot. Yeah. Also, I had a John Holt one that get mix up at the same time when I was making Alton, so that’s a great loss for me. I wanted to ask you, too, how on earth you succeeded in landing a deal with the A&M company to release the Knowledge album, ‘Hail Dread’? Well, it’s from that same show I did with Patti Smith. I was doing that show, I was in all the major papers and A&M wanted to sign me. But at that moment I was just signed with Virgin Record. So I couldn’t do that, but Knowledge was… I was making this Knowledge and I was building Knowledge as a group to perform on stage with me. So I let them know that I was signed and they asked me fe put a song on the record, that Knowledge LP, they would take the LP. So I had to ask Virgin permission to do it, so I did it. And that’s how the Knowledge LP come along with A&M, just for me to do that one song, introducing the group. But that album got kinda lost in the major label circus as you could expect. Yeah, they didn’t promote it… Because it was the first reggae A&M started with, the firs’ reggae (a project with Alton Ellis, Slim Smith and Ken Parker preceded that in 1973). I don’t think they know how to market it. They didn’t know how to market reggae at the time. Regardless what company you approach with your product, even if Knowledge was a bit too ‘grassroots’ to be a major hit at the time, they just throw it away, can’t seem to find the right sort of marketing for reggae music. Well, I don’t think… some of them don’t try that hard, yunno, like how they do it hard. They don’t spend the amount of money that it need to spend to promote it. That’s a long time ago (chuckles). But it happened during the late seventies? That’s in the seventies. That’s early when I just signed with Virgin. 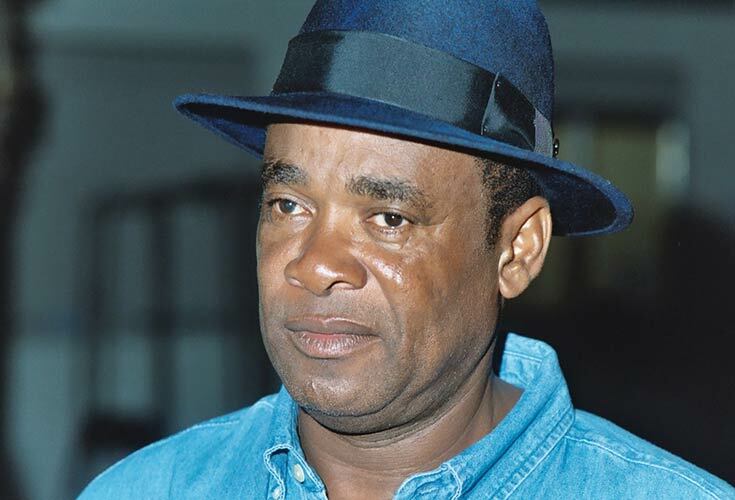 Do you think it was out of jealousy because you tried to support the community at the time (building a home for the elders in Trench Town, and, while being a member of the then Peace Committee, Tapper tried to establish a cultural youth centre in the section of Rose Town, Rema)? Yeah, yeah. Well, that is a long story. I don’t want to go into that now, it’s going to be too long, y’know (chuckles). And you know, sometime I don’t even like to talk about it. Yeah. Right now I’m musical now, that’s one of the t’ings in music, as doing music. I mean, I’m in the mood, I’m in the vibes for the stage now, yunno. (Chuckles) I’m in the vibes for the stage now. I think people gonna get a lot of performing from me now. I’m lookin’ forward to do some good shows, to let the people dem see that I’m still around. And I’m still fit, and I still have it in me. I maybe think I’m better now. Yeah (chuckles). Ca’ then I was just learning the game and now I’ve gone through the production and do everyt’ing, I know the whole works about it. So I’m doing more easier now and doing more better. What do you enjoy about stage work the most? I enjoy it, man. I think a part of my life was gone. Well, I just love being on stage. The electricity, the connection between the stage and patrons, that’s something else. Yeah, it still bring me joy. You appeared in dances, worked on the sound system circuit as a youth, but did you do a lot of stage shows in those days as well? No, no, no. Not in that time. What about reissues of your past work. 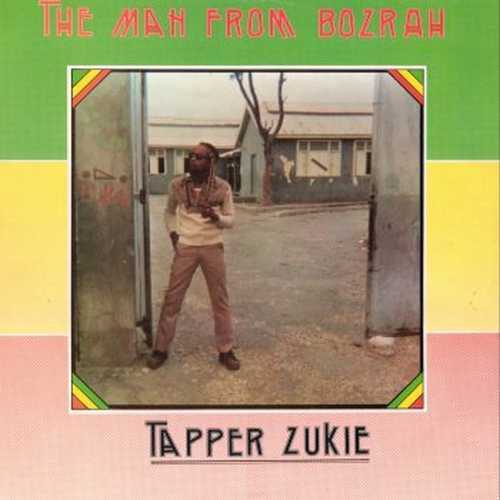 There’s several albums and individual tracks which still hasn’t been repressed, like your own ‘Man From Bosrah’ to name one. Never been put out again to my knowledge. Yeh, it’s put out on the Blood & Fire label. It name Prince Alla album, they reissue it with Junior Ross. If that’s the one you mean? No, I meant your own LP. ‘Man From Bosrah’…? OK, OK! It came out on Stars in that time. You know, Trojan have that album too to put out, but I guess they don’t know what they have. They don’t know (chuckles)… they jus’ put out what they want. Yeh, ca’ they have that album to put out. I thought that album would come out after ‘Man A Warrior’, but they didn’t. They jus’ do what they want to do. 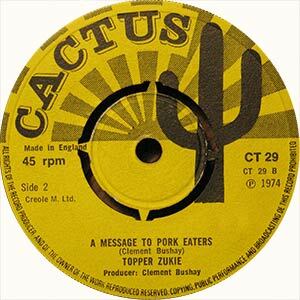 That album contains some of the same tracks as the one called ‘International’, or simply ‘Tappa Zukie International’. 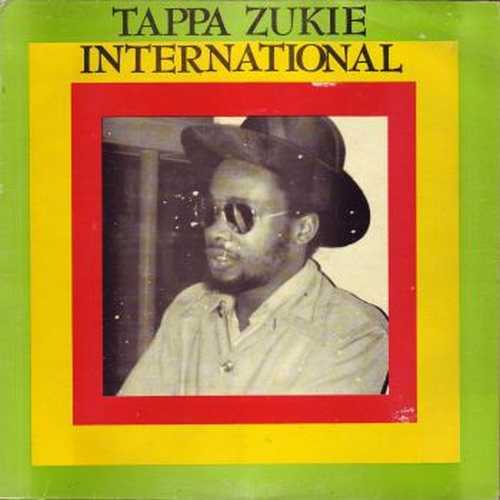 ‘Tappa Zukie International’? 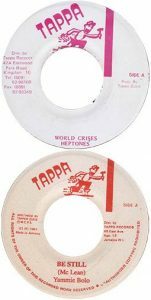 Well, ‘Tappa Zukie International’ is a Jamaica album, y’know. 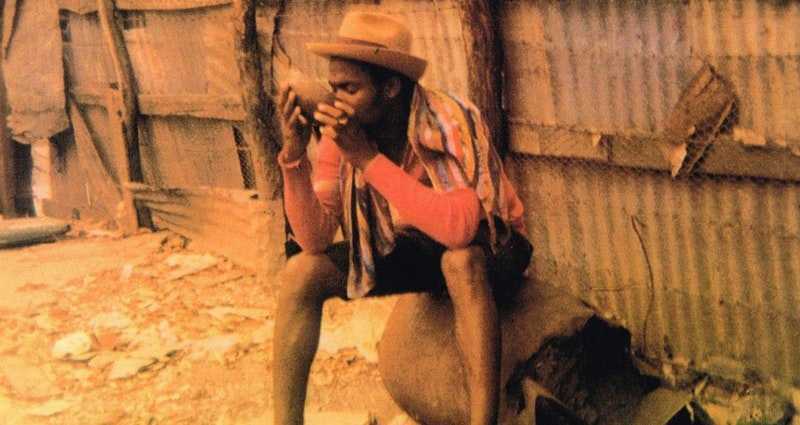 That was the album that come out in Jamaica, so most of the original songs are on that album. That’s my firs’ Jamaican release. So most – a couple of the albums, dem build off that album. 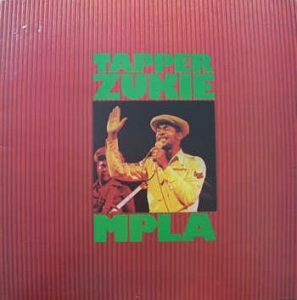 Was checking some of your Front Line releases the other day, like ‘Tapper Roots’, and that record, compared to ‘MPLA’ for instance, was a switch from culture to more slack material. Maybe it was a fine balance between slacker stuff to just a lighter delivery of lyrics, but it lacks the consistency anyhow, in comparison. It was a rush then, to put it that way. Yeah. No, because of my lyrics I used to do. True, it was cultural material you were known for. Cultural lyrics. But then – it was a good tune, people loved it and I love it too. But I didn’t really think that’s the direction I was going. But after it come out and it do well, because even ‘(People, Are You Ready) Oh Lord’, in Jamaica it was a big hit at the time. Because that was the song that started to lift my career and give me recognition in Jamaica. So it’s like, you see the two, the different side – ’cause at that time it’s those kinda lyrics that was in Jamaica and I wanted to build myself, build back my name in Jamaica from where I started. You understan’? So those record was made for Jamaica and they blew up in Europe also, because when ‘Phensic’ came here it was one of the biggest song for me. You got your break there. So it is… you know? Beca’ the music that happen inside of the worl’, sometime it’s not the one that happen on that side. You have to adjust the music to the times. Unfortunately, sometimes it’s like… So when going back to Jamaica now, ca’ that was when I got back to Jamaica after signing with Virgin an’ t’ing, and deciding to seckle down in Jamaica and build back my name. You know, ca’ my name wasn’t up in Jamaica. So, that’s how that come along. But I don’t regret it, I enjoy it, ca’ it’s a reality (chuckles). Slackness is a reality. It surely is. Still not the kind of lyrics you are mostly associated with? It was happening at that period. Was it after that you turned up with the ‘Living In the Ghetto’ LP to show that you still made hard-hitting cultural music, so to speak? It was a part of ‘Living In the Ghetto’, ’cause that’s the second album. So that’s how it release down there, to show that I was living in the ghetto at that time. ‘Cause, as I said before, I started to record in Englan’, and Jamaica was my home, so I wanted to go back down there an’ settle. You know, build the concrete, build myself concrete down there. Which I did, y’know wha’ I’m saying? (Chuckles) I don’t regret it. If I didn’t do it at the time, man, I would be like an English act. So I had to go back down to the foundation, get involved in the foundation. 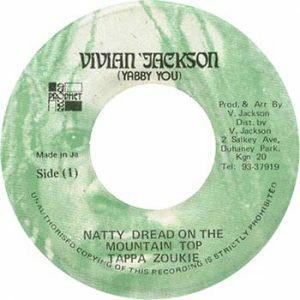 That’s when you recorded for Yabby You, ‘Natty Dread On the Mountain Top’? Yeah, yeah, yeah. That’s one of my first recordings after… that record before ‘MPLA’, and record before all of the Virgin stuff. But you had that connection to Yabby before, because that Prince Alla track, ‘Bozrach’, it was first seen printed on Yabby’s label, Prophets. Yeh. Well, that was one of my firs’ production, yunno. 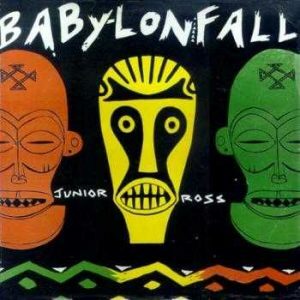 It have ‘Babylon Fall’, and I didn’t have a label at the time, so I give it to Yabby You to put out. That rhythm was recorded at Perry’s place. Yeah, at Lee Perry’s place, and mixed at King Tubby’s. Was this the sole rhythm you recorded at the Black Ark studio? No, no, no. I recorded some of Knowledge, some of Knowledge’s songs recorded there too. Right, right. A pity you didn’t make use of that studio more than that. He had that distinct, smoke-filled sound. Unique at the time. Yeh, I know. Definitely. Couple of Knowledge songs recorded there, ‘Make Faith’ and ‘What’s Yours’, yunno, a couple more. What about Errol Dunkley, because you had a few tracks released with him, but did you finish like an album with him? 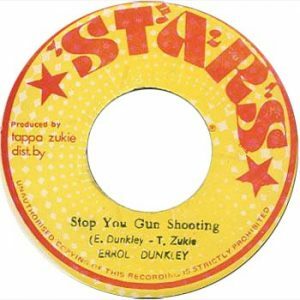 I just – around two years ago I put out an Errol album name ‘Selective Songs of Errol Dunkley’. But that was like new recordings, wasn’t it? Yes, almost. On old riddims. I did a couple of dem, but I didn’t really put out an album. But I still have those songs on tape. Those songs load on tape (chuckles). Yeh, loads on tape, because I ‘ave loads of music, man. Loads of music that don’t release yet from way back. But through I keep on travelling tape get mislaid, yunno. So you lost a lot? I lost a lot of tapes, all over. Sorry to hear that. I hope you take good care of them, what’s remaining? I’m trying to do that now. They gotta be preserved somehow, it’s your history on tape along with all those people you recorded, so you don’t lose them forever. I still dunno the way how I’m gonna preserve the legacy. But you see, in those times I was so young and all over the place, ca’ I was here, there and everywhere, y’know. I was a young bwoy who becomes a star, seventeen years old. Have you thought of where you got that special ‘ear’ for music? Was your parents or relatives musically inclined? Well, it’s a inborn concep’, yunno. My father said the music used to fix me up too, so maybe it’s someone with the talent. Your father was a musician? He was musical, he was a deacon in a church. Perhaps it’s from there. Your friendship with the bad boy of the music, Ranking Dread, one of the most talented of deejays, I think you recorded him as well at some point? He’s gone now anyhow. 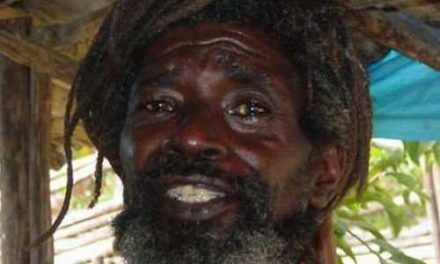 Ranking Dread (laughs)? Well, he passed away. It’s a long story, don’t really wanna go into that. Sure, no problem. Pity about the lifestyle though, when the musical part tended to be so good. It was a different time, another time, y’know. That’s his life. Maybe that’s the life he loved more. So it’s on stage we can expect more from you now. But regarding new releases, it was ‘Cork & Tar’ which was the latest in terms of recorded material, wasn’t it? Yeah, that’s the latest release. But mainly now, I’m here waiting to give my fans a lickle more on the stage, and I can’t wait to get back on the road. So all the fans out there, they will be seeing me soon. They can look forward, beca’ they’re gonna get more than before.